The New York Times, along with The American Prospect, and many blogs are all taking a look at the politics in recent episodes of Battlestar Galactica. My view is that the story should be viewed on its own terms. The duty of any good writer is to explore contemporary themes through their art. That's what BSG is doing. A perfect example of this was in last weeks episode, Collaborators, where Roslin and Adama are opposed to what Zarek and The Circle have been doing. It's a debate about the rule of law and the rights of the accused. The show didn't preach or hand you an answer. The show asks you to consider the circumstance and think about it. But, Galactica is a challenging show for a demanding audience. I hope that BSG is appealing to people who want to have their views challenged, and who want to think about the issues presented. There simply is no way to call BSG propaganda for either side in any given question. The show is about characters struggling with their situation and dealing with moral complexity. So, yes, if you see life in black and white, I guess the show is bothersome because of its rawness. If you see grey areas, then it's a show you can grok for being compelling and bold. If you want propaganda and lies, watch Fox News, listen to Limbaugh, or watch ABC's trash, "The Path To 9/11" for all the comfortable fiction you want. Science fiction has always been at its best when holding up a mirror to our own world, but putting it in a different context. Star Trek did it brilliantly in the 60s. As did The Twilight Zone. In the 1990's it was Babylon 5. Now, it's Battlestar Galactica doing worthy work. Making people think. Telling a compelling story. Exploring frail human behavior. That's why the show won the Peabody. That's why in 20 or 30 years when people want to understand how the culture examined itself in the early 21st century, they will look back to BSG to get a picture of how we see ourselves. But I think I get the gist of it. Sean Elliot in If Magazine. New York Post on BSG and Iraq. Karen Karbo in the Oregonian rebutting the Slate view. Newsweek covers the webisode troubles. Jamie Bamber talks season 3 with Gateworld. New BSG comics, about the Cylon War, and the current series time period. Ron Moore and Harlan Ellison talk about Galactica at the screenwriting expo. Bear McCreary discusses scoring Exodus Part 2 in his blog. Also, David Eick's video blog has been updated. frakheads.com posted this short clip from Collaborators on YouTube. Contains spoilers for Jammer's potential fate. Gateworld has a new interview with Apollo, Jamie Bamber. Listen to the whole audio interview here. Bear McCreary has updated his Battlestar Blog and gives insight into the instruments and scoring of Exodus Part 2. Marc Bernadin in Entertainment Weekly shares his thoughts on last nights epic, Exodus Part 2. Angel Cohn reviews Exodus 2 in TV Guide. Sean Elliot in If Magazine gives Exodus Part 2 an A-. Thanks to everyone who entered! You are all great! I hope there will be more contests in the future. Brent Thompson of Anthrax.com has posted an awesome series of high-res photos from when he and the band visited the set of BSG in Vancouver. Check them out hanging out on the sets with just about the entire Galactica cast here. David Eick's videoblog has been updated, and in it the actors talk about season 3. And it's funny. Jamie Bamber humorously says at the end, "the whole show's going to pot. I wouldn't watch." Newsweek talked to Ron Moore about the conflict between the WGA and NBC/Universal over webisodes. Since the situation is in flux there will not likely be any further webisodes for a long time. 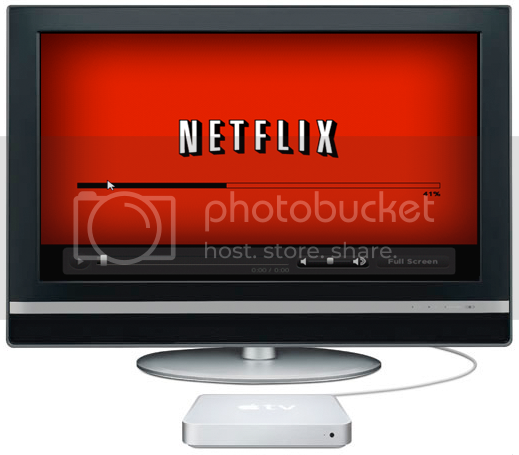 Worse yet, the possibilty of a full scale writers strike looms on the horizon if the two sides cannot work out a deal over the issues raised by internet distribution of media properties. Olafsdotter has posted a series of clips from some BSG events at DragonCon. Scroll down this page for all the DragonCon videos. In Entertainment Weekly Marc Bernadin reviews Exodus Part 1. TV Squad has a review of Exodus Part 1 by Keith McDuffy. And check out the BattlestarWiki page for Exodus. Reader Glen Cote sent in some links to articles at Slate. The first piece is about how Battlestar Galactica has become "Battlestar Iraqtica". The second piece makes a stronger point that BSG is actually a series in the style of film noir. And if you are interested in the brands of Scotch Ron Moore has been drinking during the first two podcasts for episodes of the 3rd season.... During the first podcast Ron was having Bowmore Single Malt. Visit their USA site, or international site. For the second podcast, or Exodus Part 1, Ron was having Longmorn. 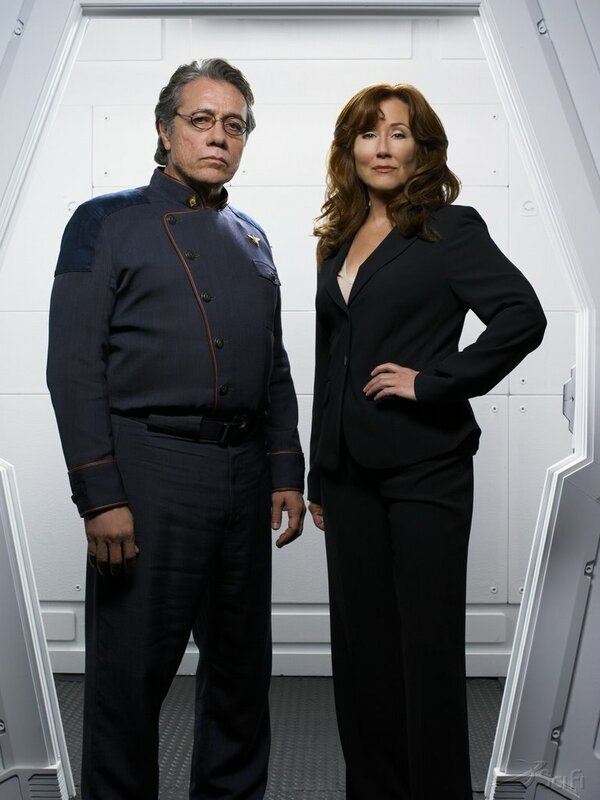 Watch a totally excellent interview with Mary McDonnell at Sci-Fi.com HERE. The 17th installment of the Galactica Sitrep will be online later today. Cinescape Review of season 3 opener. IGN reviews Exodus part 1. BSG ratings and demographic gains. BSG is staying on the Sci-Fi Channel. David Weddle interview with SyFy Portal. James Callis talks season 3. Grace Park profile. See Grace Park in person, Saturday October 14th in San Diego. Katee Sackhoff interview with Readexpress. Katee talked to Sci-Fi Wire. Katee also talked to IGN. David Eick video blog showing Carl Lumbly in "Hero". 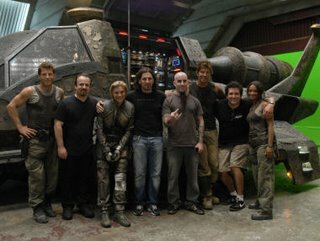 BSG won Best TV Show at the Spike TV Scream Awards. Battlestar Online is sponsoring a contest for Sitrep listeners. G4 discussion on The Loop: Is BSG too rough and challenging for the average viewer? Season 3 of Battlestar Galactica is now available on iTunes. Occupation/Precipice sells for $1.99 -- that's two hours for the price of one. David Eick's video blog has been updated with scenes of Carl Lumbly joining the cast for a table reading, and for shooting the episode, "Hero". The third season of Battlestar Galactica bowed with strong ratings on Friday, October 6, up slightly from the winter 2006 run and smashing SCI FI Channel's records for October, where until now it has aired reruns almost exclusively. The 2-hour season premiere, "Occupation" / "Precipice," earned a 1.8 average household rating and drew an estimated 2.2 million viewers. This is a two percent increase from the second half of Season Two, which aired on the cable network from January to March. The show saw bigger gains in the viewers age 25 to 54 demographic (seven percent), and viewers 18 to 49 (4 percent). The new episode of Galactica brought up the network's ratings an impressive 75 percent from the same period a year ago, representing a total viewership increase of 93 percent. The same key demographics increased more than 100 percent. Along with lead-ins Heroes (off-network rerun at 7 p.m.) and a new episode of Doctor Who (8 p.m.), SCI FI averaged a 1.4 rating for the 4-hour SCI FI Friday programming block. 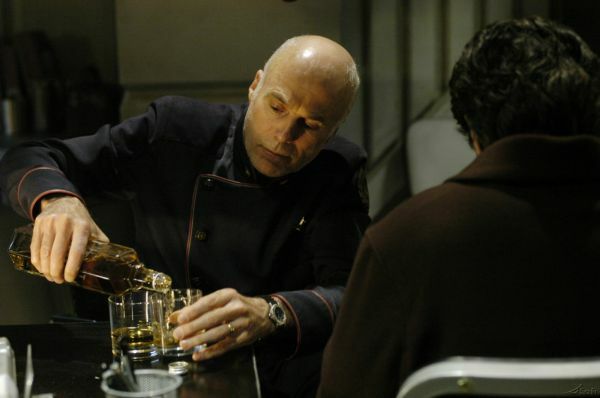 New episodes of Battlestar Galactica continue every Friday at its new time: 9 p.m. Eastern/Pacific! SyFy Portal interviewed David Weddle. Check out EW's excellent review of season 3's opener. TV Squad's review is here. And take a look at the Battlestar Wiki's guide page for the Occupation. Ron Moore talks about his podcasting experiences. BSG cast members are introduced at a DragonCon presentation. Ron Moore was interviewed about his Galactica Podcast. Check this page for Moore's podcast for the season debut. Sci-Fi.Com has posted a unique music video. Check out the September 30th edition of SciFi Zone Radio Show with guests James (Baltar) Callis, Tamoh (Helo) Penikett, Kate (Ellen Tigh) Vernon, and Aaron (Chief Tyrol) Douglas. Executive Producer David Eick talks about season 3 to Sci-Fi Wire. Newsweek says Battlestar Galactica "is indisputably, hands-down and without question, the best show on television." Maureen Ryan in the Chicago Tribune reviews the season 3 opener. The Los Angeles Times talked to Bear McCreary about the use of the duduk instrument in BSG scores. Sci-Fi.Com has posted the first 13 minutes of the season 3 debut, "Occupation & Precipice." The 16th installment of the Galactica Sitrep is now online. Now in mp3 and 10.1 mb. Chud talked to Brad Thompson and David Weddle. They reveal that some of the final work for the BSG webisdoes remained unfinished due to the conflict between the studios and WGA. The San Antonio Express-News reviews the season 3 opener. Sci-Fi.com has a new interview with Ronald D. Moore about what to expect out of season 3, and the potential spin-off series, "Caprica."